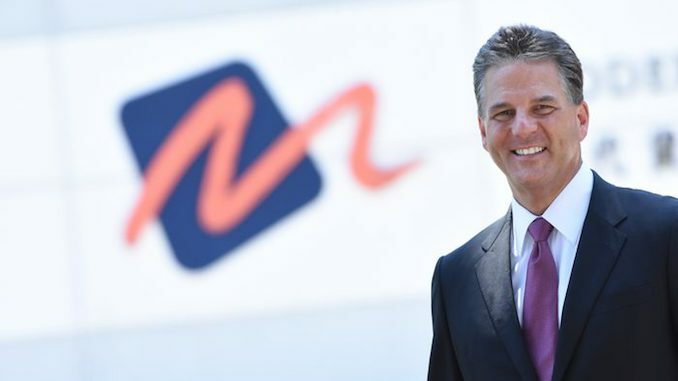 Modern Terminals' Group managing director, Peter Levesque - The status quo of Hong Kong Port is "neither sustainable nor desirable." 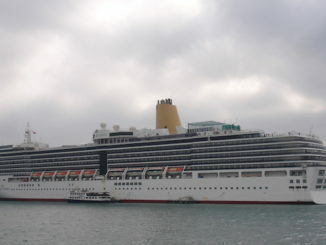 To paraphrase Mark Twain, news of the death of Hong Kong Port has been greatly exaggerated. In fact, according to the Group managing director of Modern Terminals, Peter Levesque, the port is on the verge of a new lease of life. Addressing an audience at the Lloyd’s List Business Briefing yesterday, Mr Levesque declared the status of quo of Hong Kong Port as “neither sustainable nor desirable. 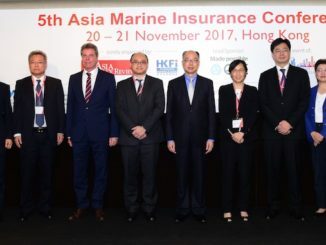 “As maritime leaders we must be willing to take risks and commit resources in achieving the ports full potential,” he added while revealing that port executives and maritime leaders have begun working together to unlock the potential of Hong Kong’s port as part of a broader maritime centre. “We need to break down the historical barriers to progress and reach beyond constraints that support the status quo. We need to acknowledge and respond to the challenges that we face, and as a maritime centre, we need to collectively reinvent the container terminal that was built in 1972. And transform it into an integrated 21st century smart port for the future,” he said. “To be pessimistic about the future of Hong Kong’s port is to ignore the tremendous potential and opportunity that lies just beneath the surface with the application of new technologies, new thinking, and new operating models,” he added. Hong Kong Port has slipped down the global rankings from first to fifth and in the immediate future could fall one or two places further by the end of the year. 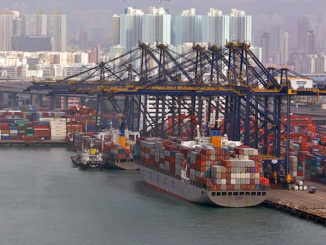 It has faced multiple challenges to its earlier lead; not least the impact of regional competition from deep water ports along the coast of China; the availability of transhipment hubs like Taiwan and Korea, and Tanjung Pelepas in Malaysia and; Chinese free trade zones that have enabled the Mainland to provide transportation and logistics companies with Hong Kong-like functionality in the provision of logistics operations and consolidation services. Meanwhile, the port has had to contend with the rapid deployment of mega-vessels and, most recently, the consolidation of four east-west global alliances down to three, which has made the home berth concept practically impossible in Hong Kong. “For all Hong Kong’s success as a global transportation and logistics hub we find ourselves today struggling to overcome the challenges and risks that stand between the world class port that we are and the smart port global maritime centre that we have the potential to become,” said Mr Levesque. Despite the obstacles Mr Levesque presented a compelling argument to support the future prosperity of the port as a smart component in the overall logistics infrastructure of the region. “We have a tremendous opportunity to build upon the Chief Executive’s smart city initiative as well as her declared support for the maritime sector overall, and to be creative about the future of Hong Kong’s port and the critical role it plays in the region. “Hong Kong sits on the doorstep of a global economic powerhouse. Under one country, two systems it has the unique opportunity to combine the China economic engine with the features and benefits the Special Administrative Region has to offer. If you wanted to create an environment that would allow the maritime centre to maximise its full potential you would be hard pressed to find a better foundation to work from than what we already have here at our disposal. “Hong Kong’s competitive advantages lie in its rule of law; it’s free port status; it’s geographic proximity to the Mainland; legal transparency; ease of doing business and; access to a talented workforce. When you take these attributes and combine them with what China has to offer; a massive growing economy; the potential for Belt and Road participation; the potential for Greater Bay Area participation, then you get something very powerful,” Mr Levesque concluded. The Lloyd’s List Business Briefing is one of more than 50 events being held during Hong Kong Maritime Week 18-24 November.